This was a massive three-sided structure made from solid oak. It was more than twelve feet high, eight feet wide, and projected up to three feet from the wall. It incorporated three glass-fronted panels housing hand-lettered and illuminated lists of men from the borough who seen active service, to a total of 460 names. The panels were separated by fluted columns, while the central panel was surmounted by an Ionic arch. Above were carvings of a woman with three children, three soldiers lifting a wounded comrade, and a lion at ease. Ref: Bruce Ringer, Onehunga Soldiers' roll of honour, 2014. 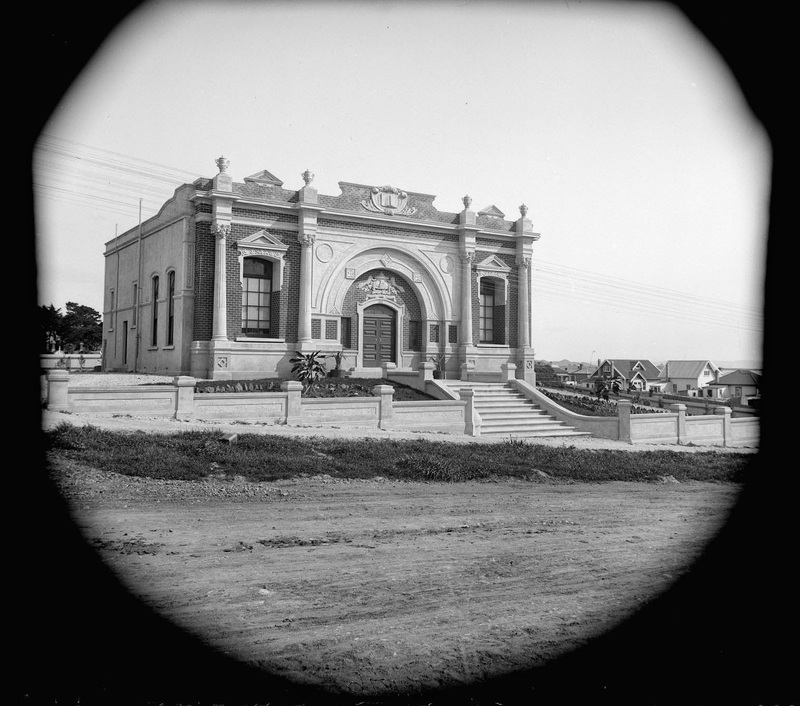 The memorial was designed by the architect John Park, who had previously designed the library building (opened in 1912). Mr Park also undertook the illumination. The woodwork was by cabinet-maker W. Batts. The carvings were by J.H. Edwards. The base of the roll of honour carried six watercolour paintings by the well-known war artist Horace Moore-Jones: four views of Gallipoli, one scene showing soldiers in a ruined village, and one scene of sailors manning a gun. Ref: Bruce Ringer, Watercolour by Horace Moore-Jones from Onehunga Soldiers’ roll of honour, 2014. The memorial bore the inscription: ‘Erected by Onehunga Borough Council. J. Rowe, Mayor 1914-1917. J. Stoupe, Mayor, 1917-1919.’ Six days after the unveiling, John Park was himself elected mayor. In later years, the roll of honour was transferred to the Onehunga RSA, probably around the time the library was moved to the new Onehunga municipal building in February 1970. More details on this and a range of other Auckland war memorials can be found on the NZ Memorials Register.